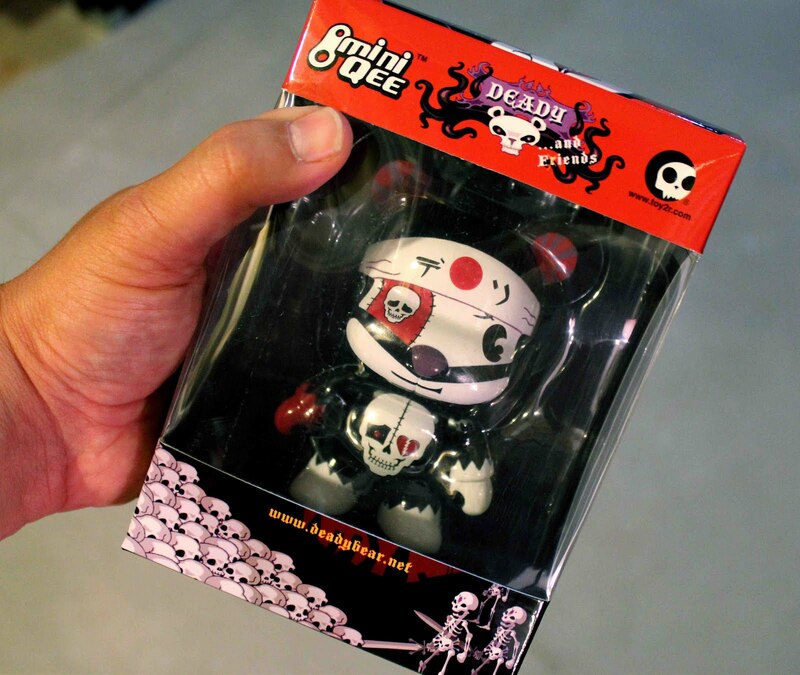 Props to DesignerToysUK for posting the review, and to Toy Break for sending one of our pieces their way! If ya wanna buy an OsirisOrion custom Buff Mini figure, click here. 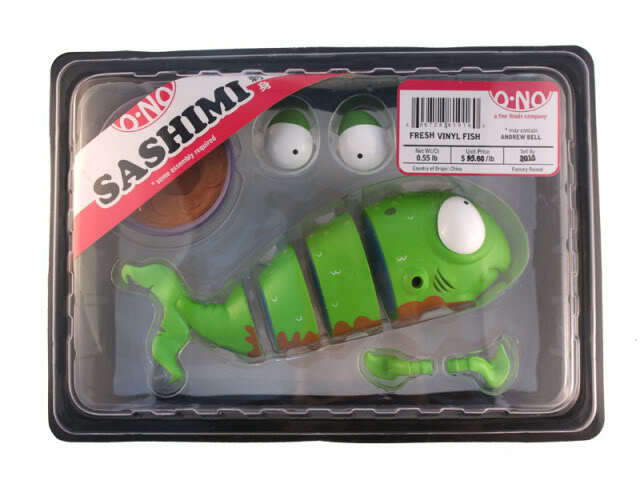 The follow up figure to Andrew Bell's crazy popular O No Sushi figures is the above-pictured O No Sashimi figure! 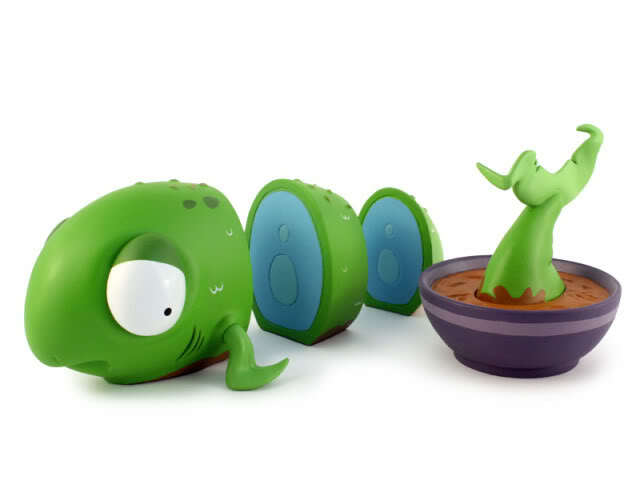 With multiple parts and a larger size, this should prove to be a LEAST as popular as the Sushi figure! No published arrival date yet, but we do have preorder available here. Price is $35. 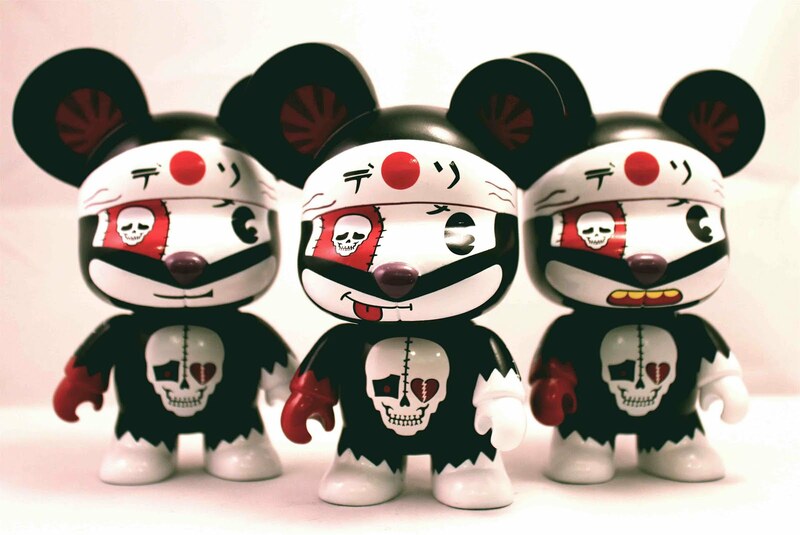 The 5-inch Deady "Big in Japan" Mini Qees by Voltaire and Toy2R are now here, and there are 3 different variants! Only $28, buy yours here. Each comes with an Adventure Quest code so you can play AQ alongside Deady. We now have preorders set up for both the regular edition (above) and GID edition (below) Anatomy Qees by Toy2R and Jason Freeny. Arriving in November, these 7-inch beauties will run you $80 apiece. Regular edition is limited to 500 pieces, and the GID is more limited at around 200 (?) pieces. 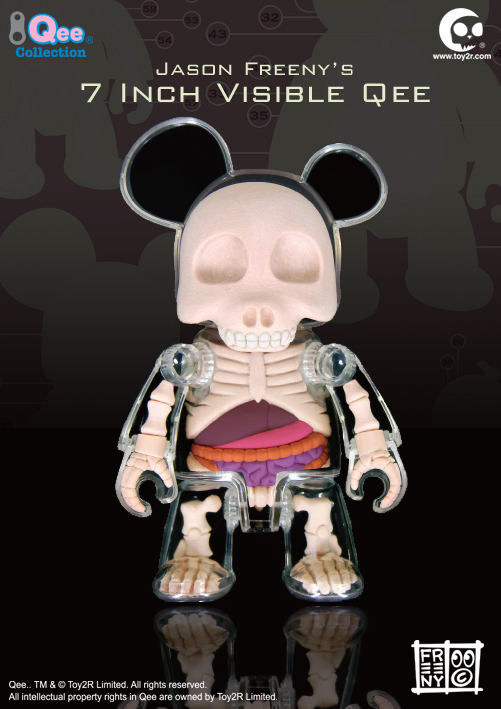 If you dig Freeny's work, come to our NYCC booth on Saturday October 14th when he'll be signing. "Sushis Baiser" is the new custom O No Sushi set by Chris.o.sauR (aka Christopher Earl). We are proud to offer this beautifully-painted custom set in our Chris.o.sauR section alongside Chris' other custom, a MIST Lucius figure he calls "Noot". Sushis Baiser has cool purple and black tentacles and comes with 2 different optional eye colors: dead black and bloodshot yellow. 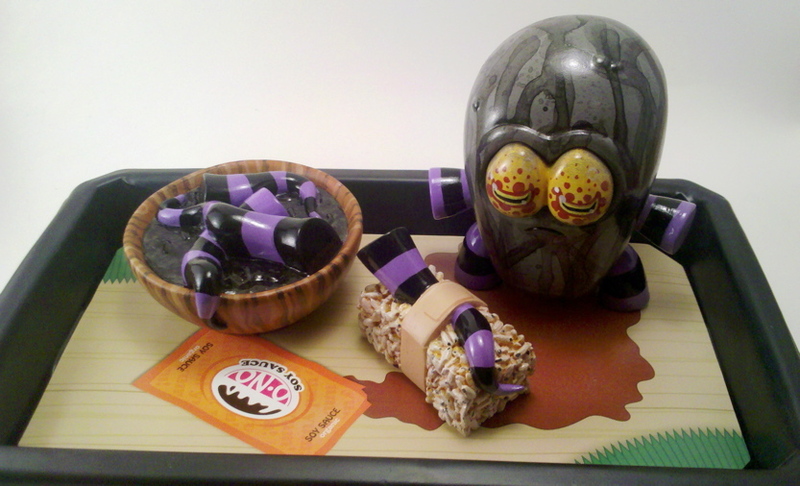 The detail is amazing, right down to the little maggots in the rice grains and the wood grain on the bowl! Only $95, buy it here. END from Argonaut Resins has finally given us permission to release the images of his very much anticipated follow-up to the Tuttz cat: the Pharaoh Hound! Now, this is a thing of beauty- a regal 8-inch sculpt that will come to life as handcrafted resin pieces in a multitude of colors. 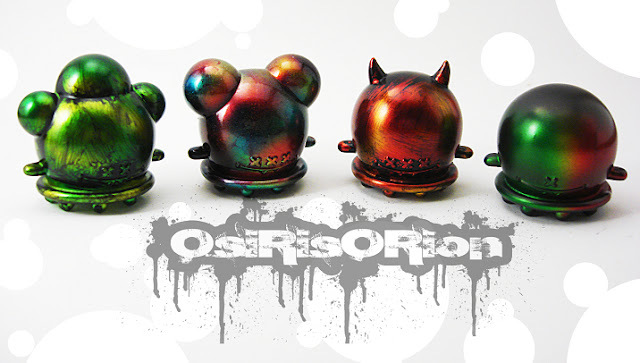 Argonaut Resins always takes the utmost care in producing their resin. 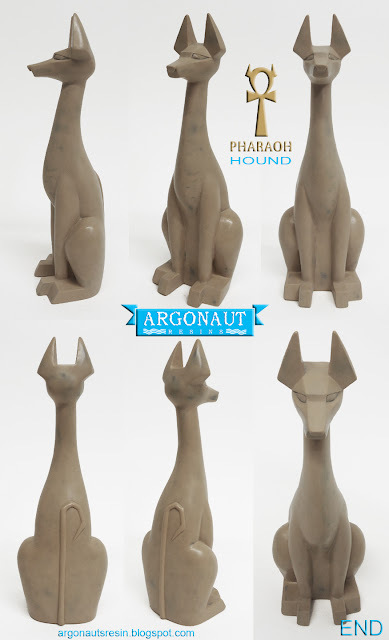 This is a beautiful sculpt and I am very, very excited to be a part of the small Argonaut family of retailers. Much more info coming soon. For now, you may click on the image above to open the full version. Bask in its glory, and get ready to add to your Tuttz collection.